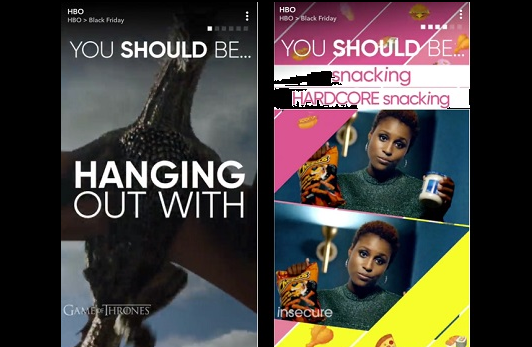 Snapchat is letting marketers buy Story Ads, formerly known as Promoted Stories, through its self-serve ads manager. 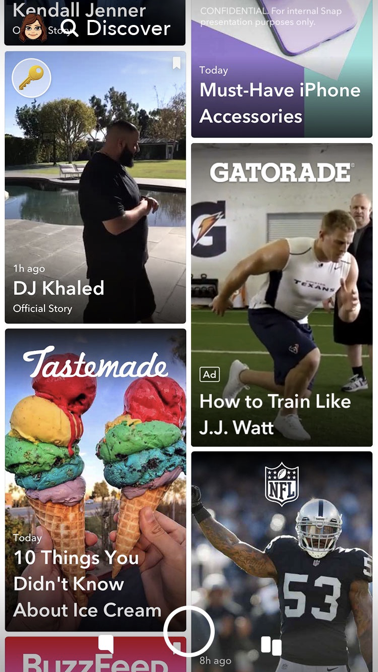 The move means that Story Ads will have the same targeting options and auction-based pricing model as other Snapchat ads. Previously these ads were sold as (untargeted) national takeovers, where brands purchased a fixed slot near the top of the algorithmic Discover feed. Now the ads are sold in the self-serve Ads Manager, with advanced targeting & efficient auction-based pricing, and appearing anywhere in the feed to reach the right users at the right time, instead of only in the top slot. This includes Snapchat’s 500+ predefined audience segments. Story Ads only appear in the Discover feed. When an advertiser purchases a Story Ad they will get their own tile in the Discover feed, which can include up to 10 individual snaps. Snapchat users can swipe up on any individual snap within a Story Ad to navigate to content outside of Snapchat. This can include a product page, an app install page, or any other link of the advertiser’s choosing. Story Ads were first introduced last November as part of a full redesign as a way for brands to communicate their business results, aims and properties to a mass audience. Snapchat also claims to be able to offer keener pricing via the auction-based format as well as more accurate targeting toward pre-defined audiences. Snapchat confirmed that it now boasts over 60 million daily users in Europe, with 12 million of those hailing from the UK, with the social platform now reaching over 25% of smartphone users in the UK, US and France. This has led Snapchat to claim that it has ‘likely become the world’s most used camera’ as over 3.5bn Snaps are generated every day – more than the number of photos taken across all phones, tablets and digital cameras combined.